Want a unique presentation? 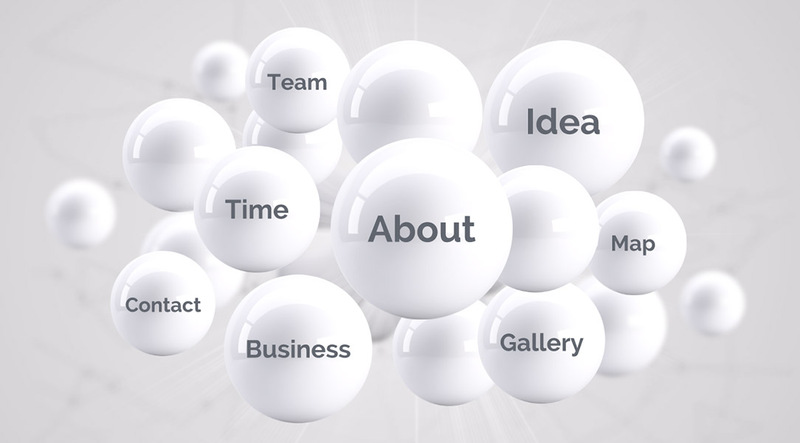 Here’s an abstract 3D Prezi Next presentation template with white glossy spheres. 3D spheres are added as cover topics, customize them by adding your own text titles or icons to illustrate each cover. A minimalistic and abstract Prezi Next Presentation Template for any kind of presentation topic. All spheres are separated elements, so you can easily rearrange the layout and duplicate spheres to add more content. 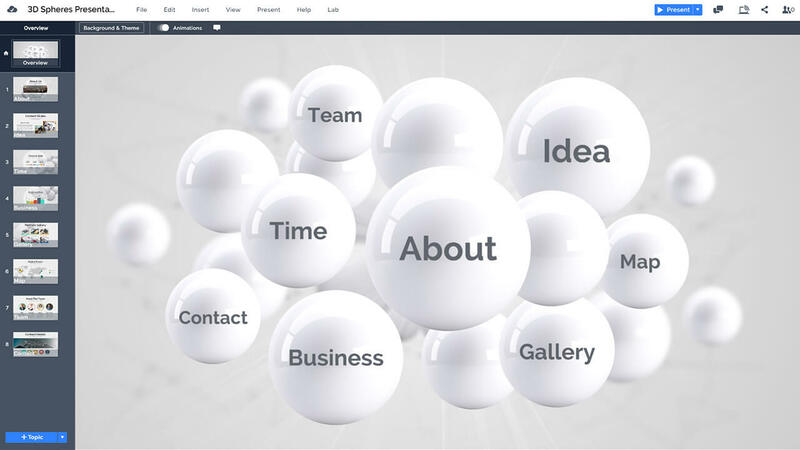 The presentation starts with an overview of a group of 3D spheres on a gray background. The template has a nice 3D depth to it, with some of the spheres blurred on the background. Advance the Prezi by starting to zoom inside the spheres. You can follow the slide path or make a more interactive journey by simply clicking on a spheres and revealing the content in any order. The template also includes many example slide layouts: intro slide, content slide with text and images, timeline, bar graph, portfolio image gallery, vector world map, team slide and contact page. Customize the example design elements or replace these slides with your own content to make a more unique presentation tailored to your needs. This entry was posted in Best Prezi presentation templates, Prezi Next Templates and tagged 3d balls presentation, 3d circles presentation, 3d spheres, 3d spheres prezi next template, 3d spheres template, balls, circles, creative spheres presentation template, glossy, online presentation spheres, orbs, prezi next templates, prezi templates spheres, sphere minimal powerpoint template free, sphere powerpoint template, spheres presentation template.